After todays experience with Grand Toyota I just had to give them a shout out. The service there always impresses me beyond what one expect from a car dealership. Customers are treated above and beyond with respect. Right from the moment you walk in the door customers are greeted and served with friendly staff that go out of their way to make you feel their main goal is to make sure you walk away impressed. Kudos Jason Thistle et al for the premier business you operate and being so generously involved in the community! 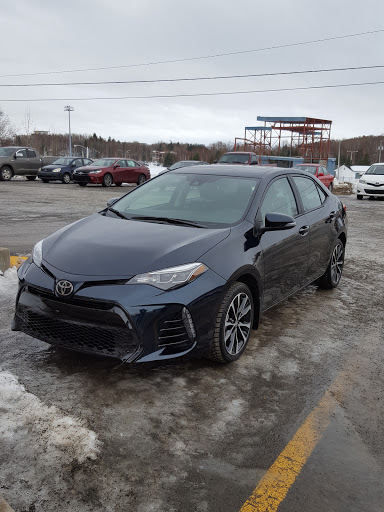 It was just a quick visit with a test drive of a used Rav 4 but the sales person Jason was quick to speak to me and offered his mobile number to keep in touch for any decisions with regards to a specific vehicle I would decide to get. Shout out to Jason, Todd and their team. Very attentive to my needs, they couldnt do enough for me. Exactly what you need in a car dealer.